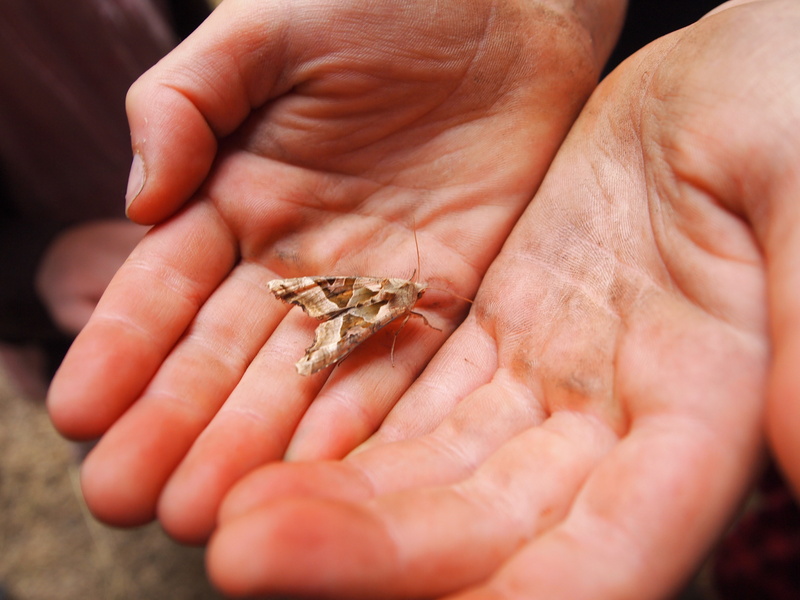 Here is the full list of species of moths identified during our recent Moth Celebration. It’s worth a read just for the wonderful names. 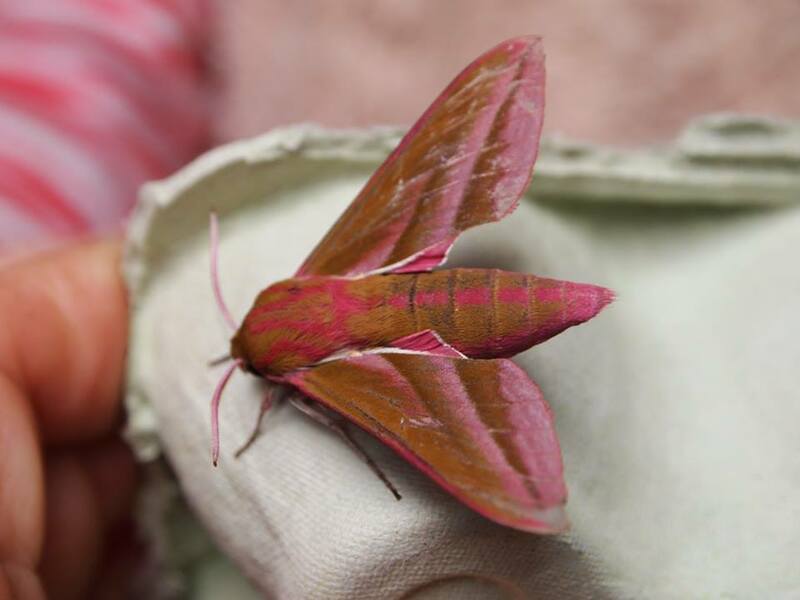 Thanks to Sally Hall for helping us identify them all, and to Isabel Macho of Carmarthenshire County Council for lending us the moth trap. I have also included a list of bat species kindly recorded for us on the same night by Laurence Brooks. 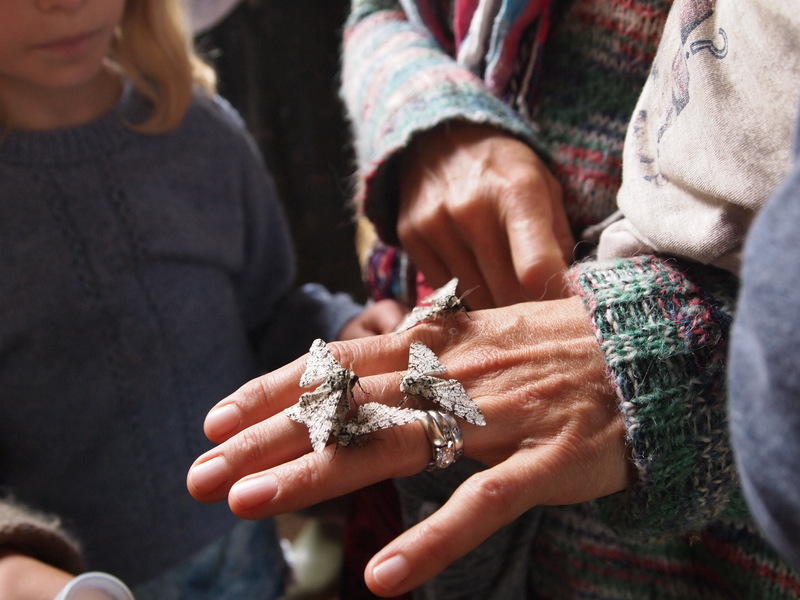 Join the All Year Round group from 4pm on 24th June for an afternoon of fun and activities (including wildflower labyrinth and moth themed crafts) followed by a bring and share supper and camp fire. 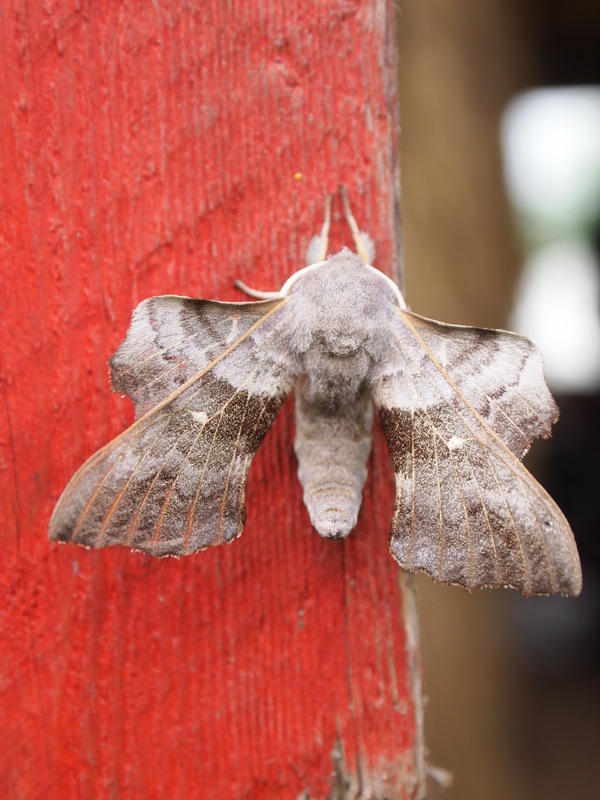 We will then be setting up a moth trap at dusk. 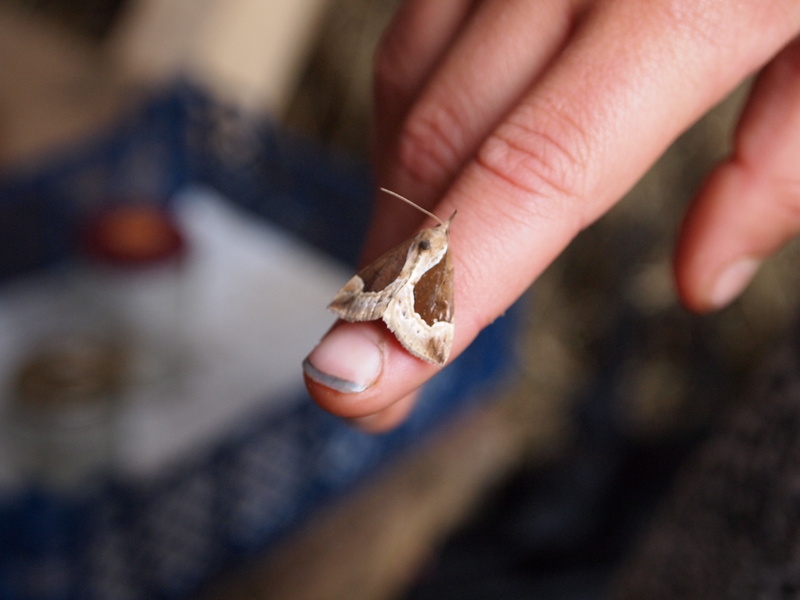 Those who would like to camp over in the wildflower meadows are welcome to; otherwise come back for 10am on 25th June to help identify the moths that have been trapped and release them back into the wide world. Sally Hall has kindly agreed to help again – her services were invaluable last year. To give you a taste of what to expect, some lovely pictures of the beauties we saw last time can be seen to the right. All Year Round ask for donations of £3 per child to cover costs, with sliding scale of discounts for families with more then one child. 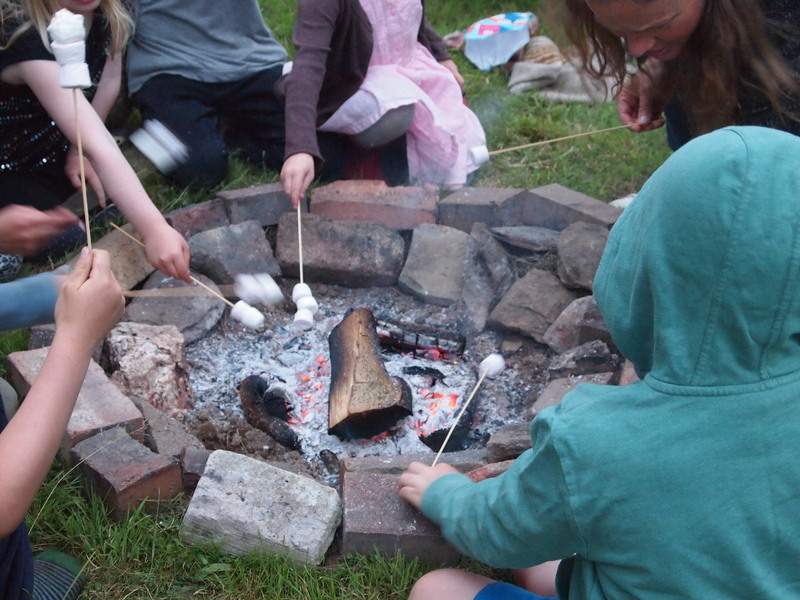 If you would like to camp, a suggested donation of £7.50 per family can be made to Dyfed Permaculture Farm Trust. 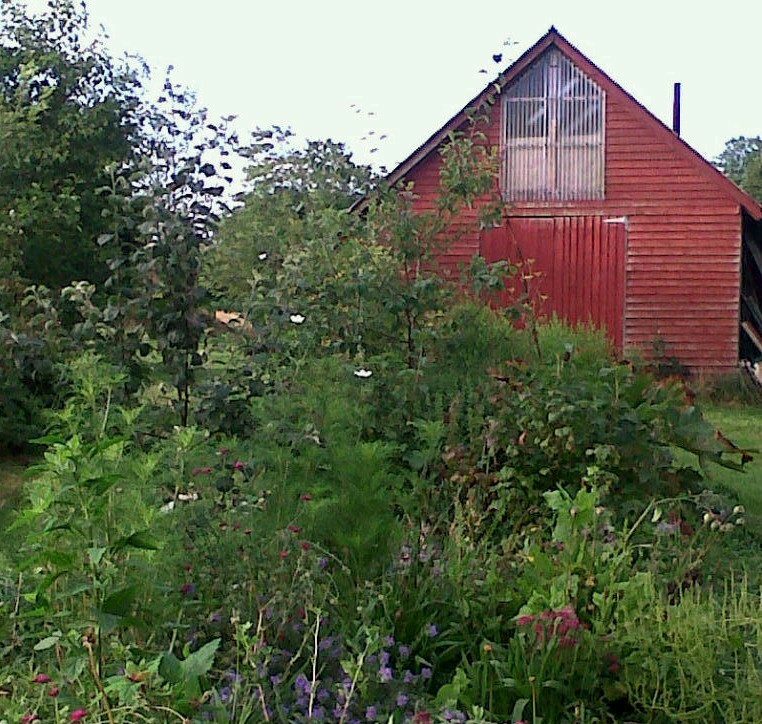 Dyfed Permaculture Farm Trust will be holding a (slightly late) open morning on Saturday 8th July for National Meadows Day. 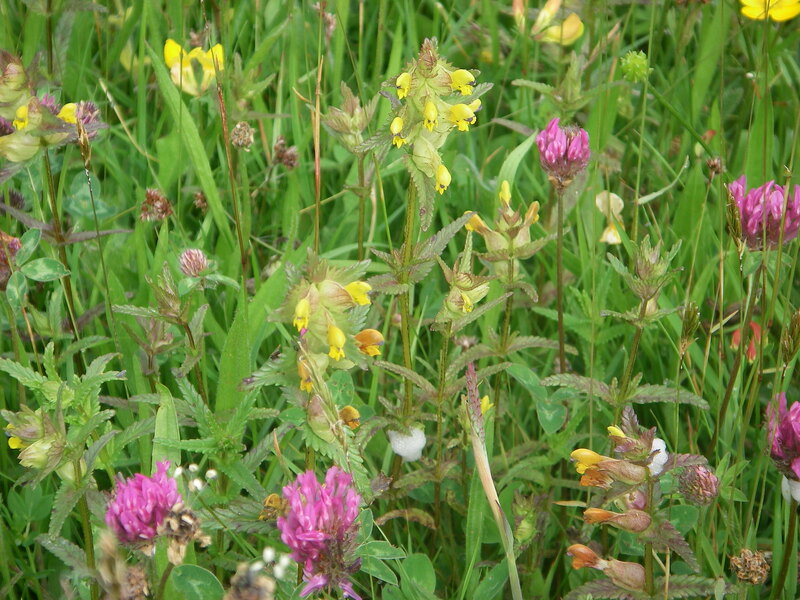 The Trust manages a 20 acre smallholding in West Wales, including six acres of traditional meadow, rich in species such as Yellow Rattle and Greater Butterfly Orchid. 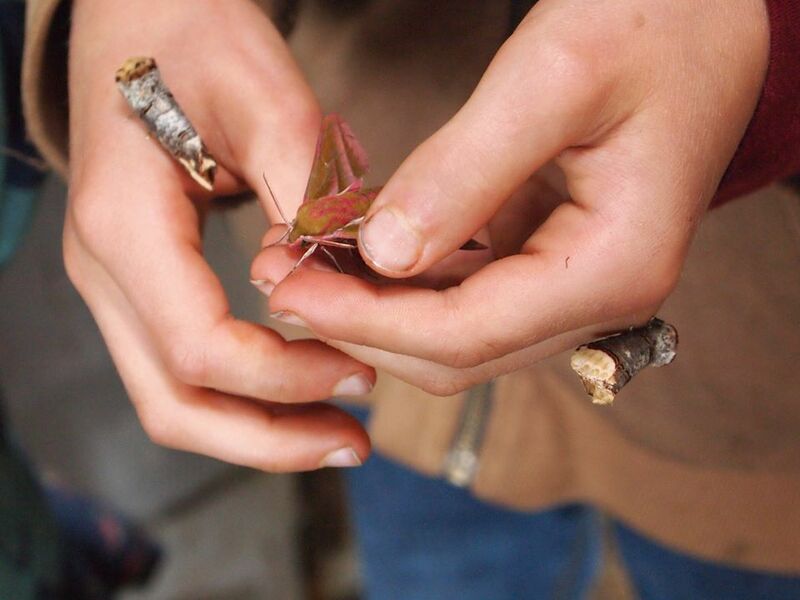 The next All Year Round gathering will be on 19th March, from 2pm at Dyfed Permaculture Farm Trust. 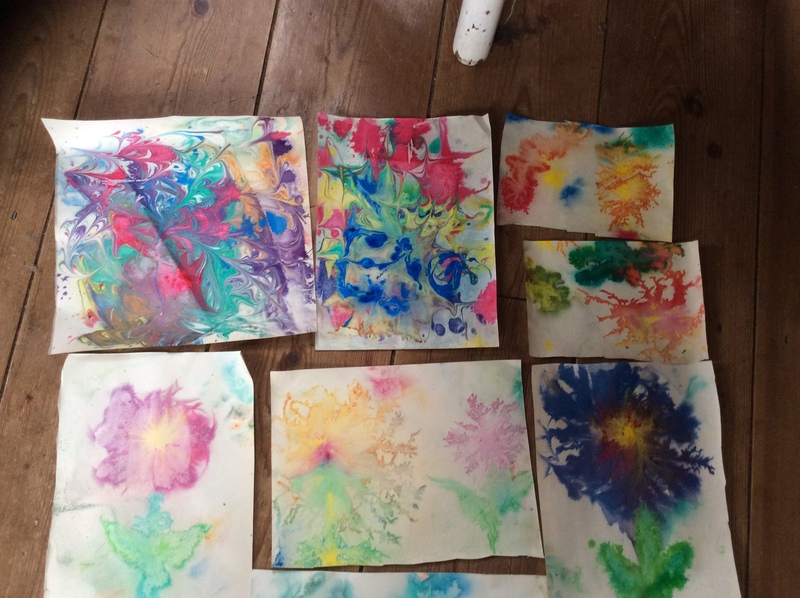 We will be doing some paper marbling. There will also be a treasure hunt, more seeds to plant in the AYR garden and, as always, a warming fire and time to talk and play. 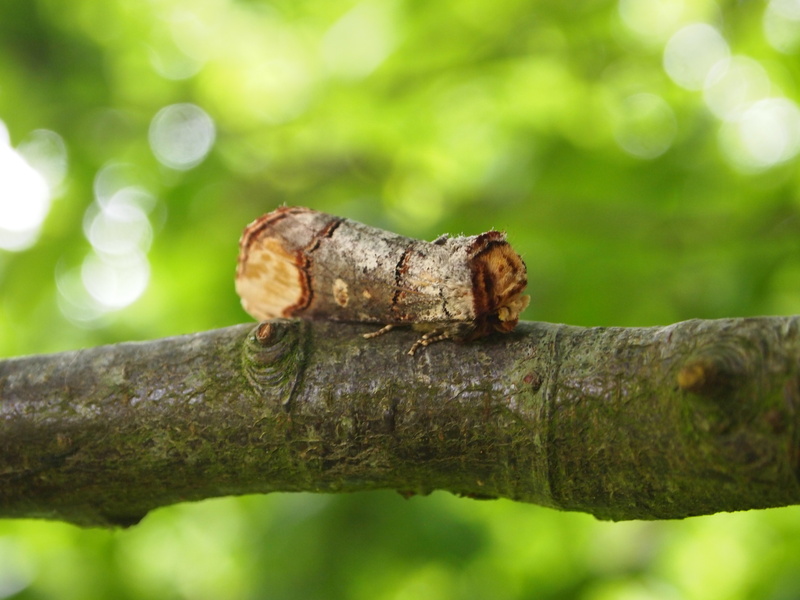 The next Trust workday will be on Sunday 26th February at 10.30 am. We will be working on the permaculture garden and other plantings around the barn; weeding, mulching and maybe adding some new plants. We will also be pruning and re-weaving the willow sculpture. All are welcome, please contact us if you would be interested in coming along. Late last summer the ITV Wales programme “Coast and Country” came to talk to us about scything and hand haymaking here at Dyfed Permaculture Farm Trust. All Year Round’s first gathering for 2017 will be for Imbolc on the 5th of February, here at the Dyfed Permaculture Farm Trust, 2pm-5pm. Winter solstice is nearly upon us. 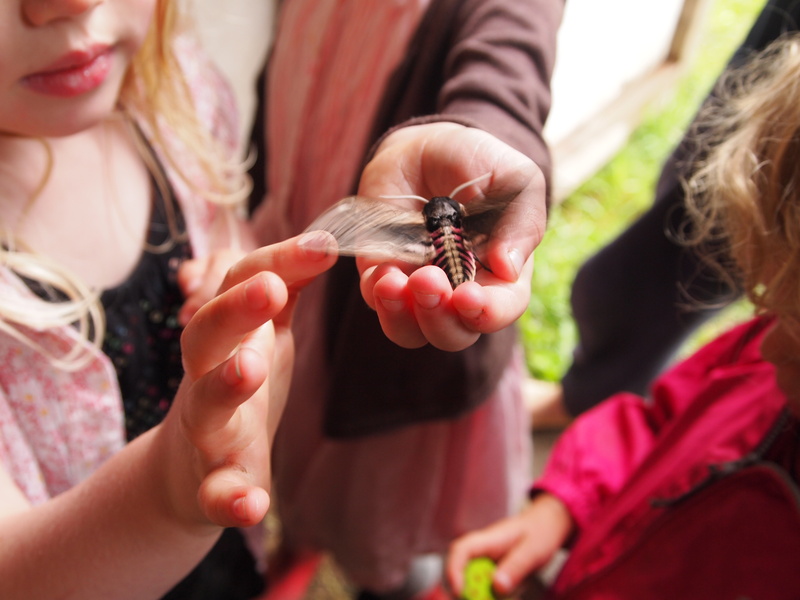 We are celebrating the turning of the year at Dyfed Permaculture Farm Trust on 21st December, 2-5pm. The talented Henry Sears will be leading us in some festive singing, there will be a roaring solstice fire, seasonal crafts, sparkly lights and warming drinks. We will be having a special All Year Round for Autumn Equinox making lanterns for the amazing lantern procession in Haverfordwest on October the 29th. The parade is a collaboration between The Lab and Span Arts’ Cheerful Project and I would like to add a twist of Remembrance Day for Lost Species by making a Thylacine lantern for the parade. 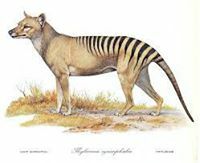 The Thylacine or Tasmanian Tiger went extinct 80 years ago this year, I think this would be a great way to honor and remember it. Come along on Saturday the 17th of September 11am – 4pm to help make the Thylacine lantern, or make your own smaller lantern. Bring lunch to share if you’re coming at lunchtime!